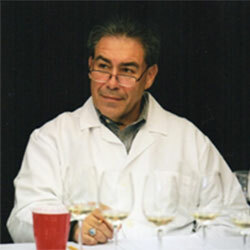 Rick Fraga, is a wine educator for Deloach Vineyards, has been working in wine for over 25 years following his passion for wine. His wine experience includes hospitality, education, cellar work and sales for wineries including Konrad, Fife, Greenwood Ridge, Dutcher Crossing, Acorn, Stryker-Sonoma, Martinelli, Robert Young, Roadhouse, Wilson, Copain and now Deloach! Additionally, he has been a professional wine judge for the last 9 years participating in the San Francisco Chronicle Wine Competition, The Rose Competition, the Lake County Wine Competition and the Alameda County Wine Competition.